See you next week with new tales! Here’s some great weekend advice. 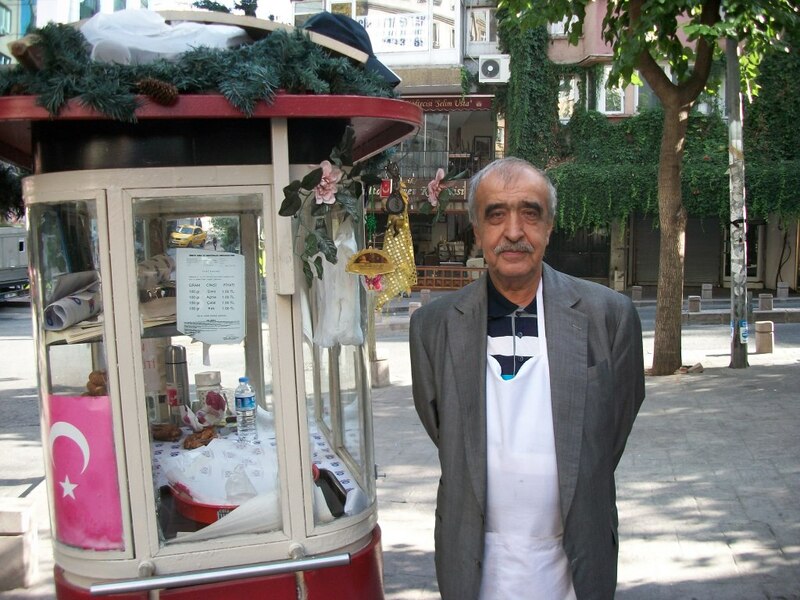 Men who sell simits–a bagel-pretzel coated in toasted sesame seeds–are almost as ubiquitous in Istanbul as ankle-breakable holes in the sidewalk. Since I often took the same streets, I often passed the same simit salesman. We bonded by blinking at each other. Some days he was decked out in a houndstooth coat and beige fedora. One this day, he went sporty with a grey jacket and a navy Adidas cap. As I approached he gave me our blink of recognition. In Turkish, I asked if I could take his photo. 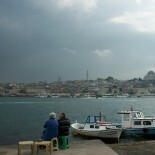 My Istanbul days are dwindling, so I needed to pack my souvenirs. Actually, the question, though I knew it well, came out: “Can I take my picture?” But he forgave me. “Of me?” Yes, yes, I reached apologetically for my camera and offered up my mother’s smile. This entry was posted on June 20, 2014 by thenicethingaboutstrangers in Travel.